Please support our book project! As the title suggests, Hearts and Minds: how we nearly lost them is about a dramatic rescue—an ongoing rescue that is neither complete nor guaranteed—but one that is advancing much more rapidly than most people know. How did we get to the prevailing scientific view that our hearts are mechanical pumps and our minds are bio-electrical computers? And to the notion that inherited genetic codes and the signals passing along various neurons in the brain are the true, complete objective reality of our lives and aspirations? Are we justified in considering anyone who states otherwise to be living in fantasies fueled by wishful thinking? 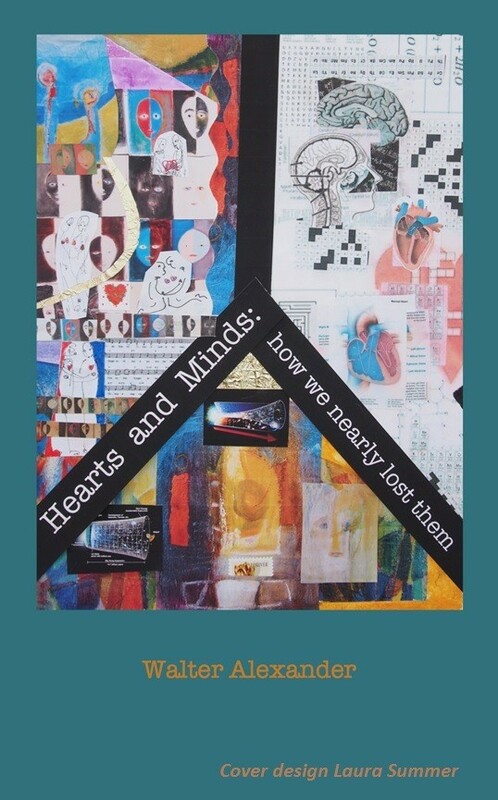 Hearts and Minds traces our path to this mindset and explores established and emerging scientific evidence pointing to a larger understanding of our physiology and conscious experience (please see below for more detail). Completion of the project is estimated to take up to two years. The goal is to raise $100 thousand to support the author’s work and research expenses. Approximately twenty percent has been raised to date. Tax deductible donations can be made in three ways. 2) Alternately, checks can be made out to SteinerBooks with a designation of Hearts and Minds on the check “memo” line, and mailed to 610 S. Main St., Great Barrington, MA 01230, or 3) they can be made out to Anthroposophy NYC with Hearts and Minds designated on the memo line and sent to Anthroposophy NYC, 138 W.15th St., New York, NY 10011. Our culture’s apparent direction, as prominent futurists point out, is toward an inevitable merging of human biology and mechanical/electronic systems. The goals of prolonging personal life, preserving vitality, health (and youthful good looks) will continue to drive these quests relentlessly. Technological advances will undoubtedly continue to be accompanied by momentous ethical challenges and choices on personal and societal levels. Will a scientific paradigm that admits as real only phenomena consistent with genetic-molecular-mathematical determinism illuminate safe and wise ways for meeting this future? Or, because it recognizes parts but not wholes, and by its character all but hounds us out of our own house—will such a paradigm abandon us to these accelerating forces? Hearts and Minds looks at this deep world/physiology/psychology divide, and at scientific perspectives suited for spanning it in present and coming times. While our reductionist, fully materialistic science continues to produce miracles in technology and triumphs in medicine, a sense that its exclusions and omissions have been exacting a high price is looming ever larger. What began as the eviction of the subjective side of human experience from scientific processes—all for the worthy goal of creating disciplined modes of thinking and effective methods for testing conclusions—has led to a virtual discrediting and dismissal of the personal and human altogether—with vast consequences across cultural, educational and economic contexts. But also not well appreciated is how that same disciplined scientific methodology has long been yielding some altogether surprising fruit—raising profound questions about the scope of the original eviction and its concomitant narrowing of inquiry. Findings from investigations conducted to high standards of scientific rigor across a range of disciplines, as Hearts and Minds shows, are pointing well beyond traditional confines. Today if in a moment of sincere reflection we were to say to a friend in crisis, “I wish to speak my mind to you about what is living in my heart”—would images of our physiologic brain and muscular cardiac chambers be called up? After all, what do a pump-heart and computer-chip brain have to offer in the trials of a dark hour? 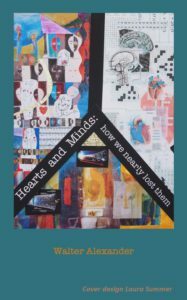 Hearts and Minds: how we nearly lost them shows how this steep mind-body divide entered our understanding, and how the road back to integrating the world, what we know of it and who we are in it–is being mapped and navigated through research in medicine, neurology, quantum physics, psychology, open systems biology, epistemology (and more). Walter Alexander has been a medical journalist for 25+ years, mostly translating research level medical science to the practitioner level for physician/pharmacist audiences. His work has appeared in well over fifty medical publications. He has also written extensively about non-traditional integrative medicine for both physician and popular readerships. The most recent publications in 2017 include an article about Branko Furst, MD’s radical alternative model of blood circulation in the most widely read peer-reviewed pharmacy journal (P&T Journal), a review of Peter Heusser, MD’s Anthroposophy and Science in Holistic Primary Care, and an article (also in P&T Journal appearing in November) about “the placebo effect,” the “sugar pill” that mysteriously embodies the powerful influence of the entire nexus of patient/health care provider relationships. The latter three publications listed above represent important breakthroughs to the “conventional” medical press of clear, integrative thinking. But there is also a very urgent need for “translation” of such research level advances from a wide variety of disciplines into a narrative that engages a broader swath of interested readers. While much that is new, intriguing and highly relevant to these themes appears in diverse media outlets, in essential ways the dots remain unconnected, a coherent picture fails to emerge and the story line slips easily away. Hearts and Minds: how we nearly lost them responds to this urgent need. The great and enduring virtue of the scientific method is that it makes all conclusions provisional—subject to wherever the burden of new evidence leads. The test of a scientific community’s vibrancy rests, in part, on its willingness to resist the temptation to let yesterday’s conclusions become stale dogma and the enemy of true and revolutionary insight. Hearts and Minds explores the inevitable and ongoing confrontation between entrenched and revolutionary paradigms. William Harvey’s depiction of blood’s circulation in De Motu Cordis (1628) quickened medicine’s abandoning of vitalism and helped set it on the road to a purely physical heart and biochemical brain. Hearts and Minds outlines medicine’s further progress to genetic determinism and a view that consciousness is a mere epiphenomenon with little if any significance (the Benjamin Crick “pack of neurons” model). To gain formal approval for a new pharmaceutical agent or surgical or other invasive strategy, proponents need to offer not just clinical trial evidence of efficacy; they must also offer a plausible explanation for potential therapeutic effects (in medicine called a mechanism of action). Historically, both acupuncture and homeopathy had this problem until it was proven that acupuncture needles stimulate the release of endorphins, leading ultimately to acupuncture’s US Food and Drug Administration approval. Homeopathy remains implausible for the prevailing paradigm. Whenever positive results appear in homeopathy trials, they are typically dismissed as placebo effects. Hearts and Minds outlines the conundrum presented by potentially significant phenomena that appear to be “frightened away” by the sterile strictures of laboratory and clinical testing. Was the exclusion ala Francis Bacon/John Locke of “secondary qualities” from scientific study fully justified? Or were some of them cast aside simply because they could not be adequately tested and quantified at that time? To what extent can subjective experience be rescued and subsumed into rigorous scientific investigation? What if not just physical forms (animal?human) evolve over time, but conscious experience evolves also? Would this revolutionary (but not entirely new) notion show our typical explanations for cultural traces from the past to be often off target? Could the persistence of remnants of earlier phases of consciousness, for example, shed light on Sir Isaac Newton’s seemingly inexplicable fascination with alchemy? On the stubbornly retained idea of “vitalism” well into late 19th century scientific circles? What would be the characteristics of such earlier stages of consciousness? Are there clues to found in studies of isolated indigenous populations? Applying the standards of “hard science” to cultural phenomena yields a surprising picture of their power and consequences. The chapter “Hamlet and the H-Bomb” proposes a radical solution to the science/culture divide. Bordering on embarrassing for medical science, the remarkably powerful influence on clinical outcomes of any human attention, especially from doctors, has been the subject of intensive testing in the last two decades. Analysis reveals the need for a much more highly nuanced understanding. Serious investigations out of Harvard and Stanford Universities and elsewhere document the undeniable force of “the therapeutic encounter,” even when patients know that they are receiving placebos. Emmanuel Kant’s avowal that we can never truly know the nature of the world is challenged by the primacy of our cognitive capacity as recognized by epistemological insight and implications from quantum physics. Tenets of “entanglement” and “collapse of the wave function” suggest foundational relationships between the world and our capacity to know about it. Branko Furst’s radical conception (The Heart and Circulation: An Integrative Model, Springer 2014) refutes the mechanical propulsion pump model of cardiac function and blood circulation. The heart functions, rather, as a “hydraulic ram,” matching the pulmonary and systemic circulations and conferring both rhythm and pressure to them. Blood circulates through its own power, deriving movement through a dynamic interplay between peripheral metabolism and respiration. Both the blood and heart take on roles as sense organs for the body. Most importantly, this radically re-characterizes the circulation’s source—replacing physical-mechanical force with the organism’s living biology and integration with its environment. Dr. Furst backs this model with extensive basic science and clinical experience references from the medical literature. The hydraulic ram and sensory roles of the heart were posited by Rudolf Steiner, PhD, more than a century ago, although the heart/hydraulic ram concept can also be traced to late 19th century sources. The varied woven threads of Hearts and Minds integrate an understanding of body, consciousness and world. They show how open-systems biology and the principle of emergence suggest a non-reductionist picture of progressive evolutionary change. The narrative is distinctly non-academic and unorthodox, combining straight science with anecdotal (and humorous) illustrations that support the Hearts and Minds themes. With respect to scientific content, though, it is both accurate and rigorous.